This statistic shows the value of the leading merchandise importers worldwide in 2017, by importing nation. 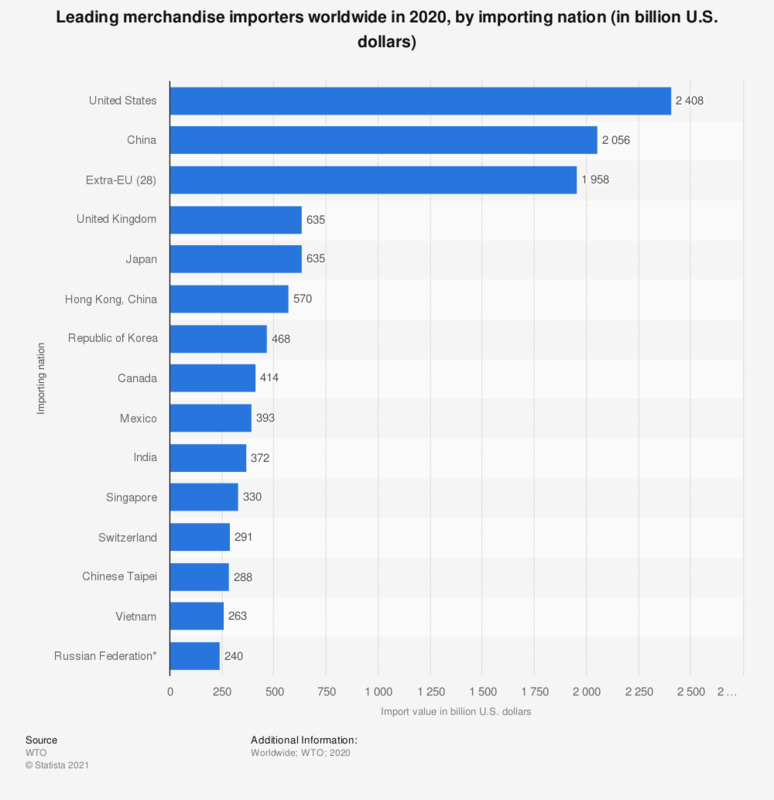 In that year, the United States was the largest merchandise importing nation in the world, with a value amounting to 2.41 trillion U.S. dollars. The transformation of trade has been underway for some time. It is manifested most clearly in wider geographical participation in trade and the rise of international supply chain production. Technology, especially transport and communications, has been the main driver of global economic integration over the past two centuries. But political forces have also played a powerful role, sometimes helping to manage and cushion integrationist pressures, and at other times resisting or even reversing them.